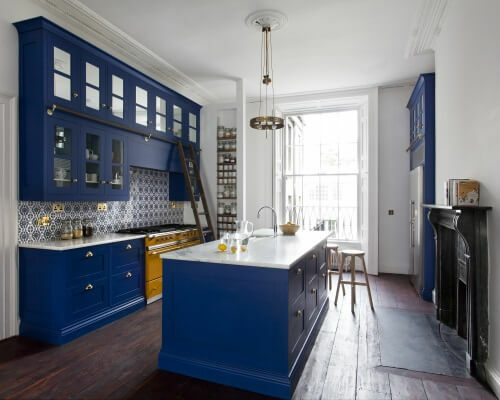 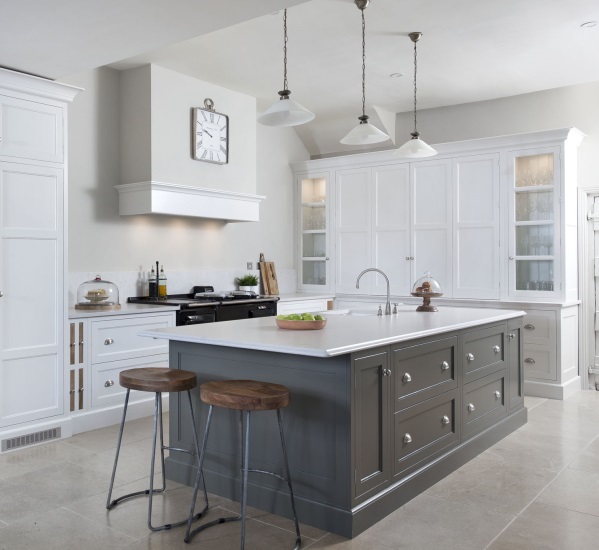 A stunning handpainted classic contemporary design. 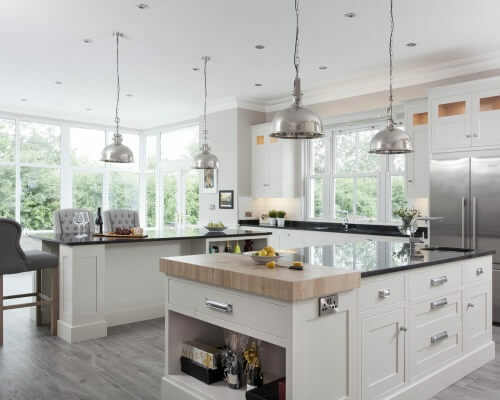 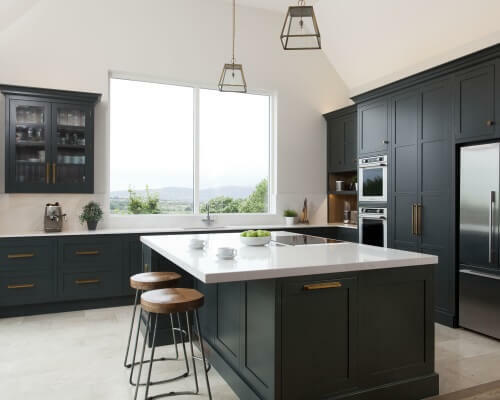 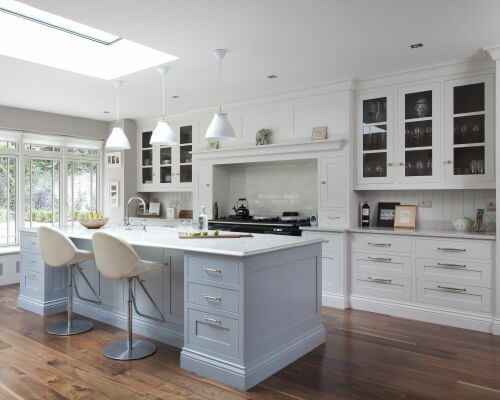 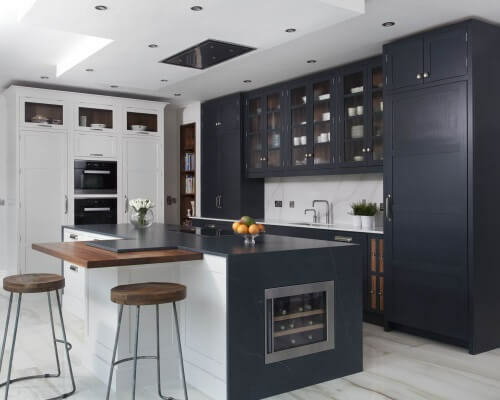 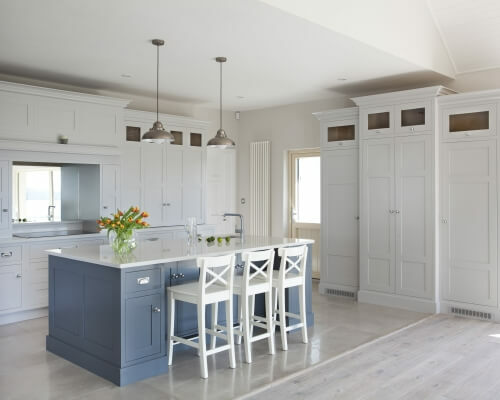 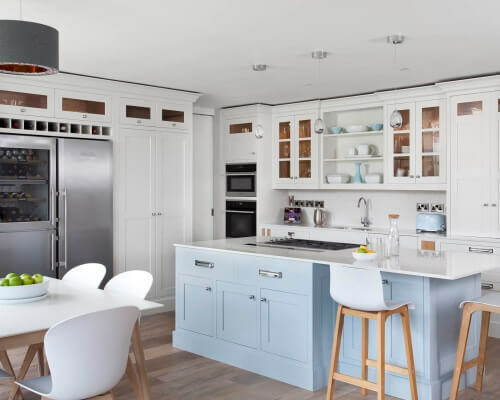 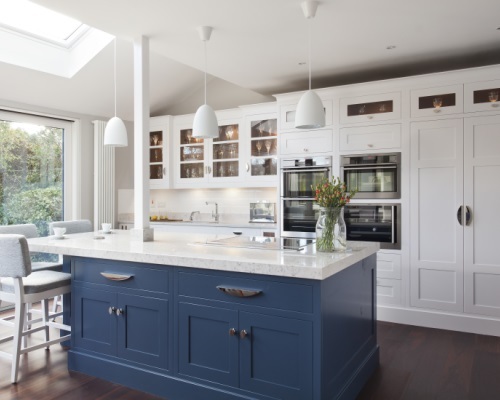 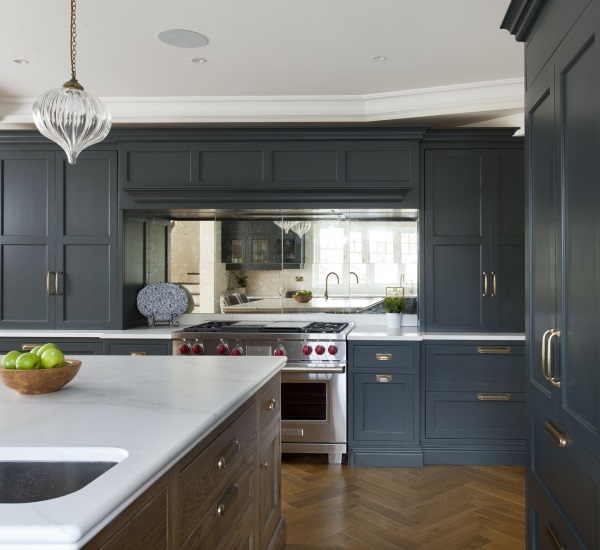 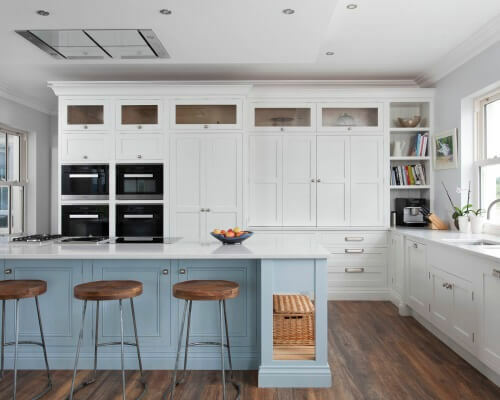 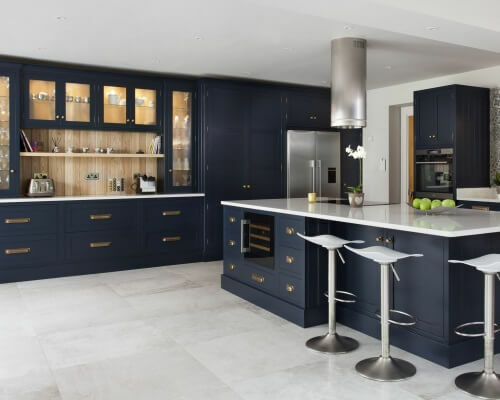 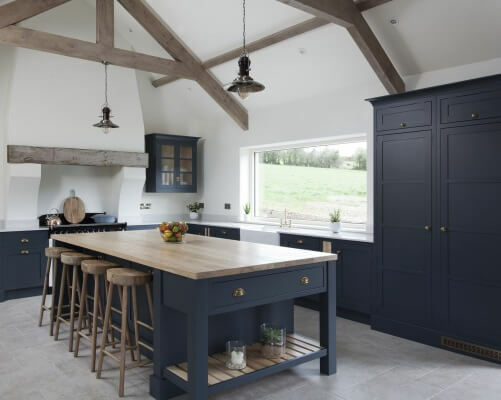 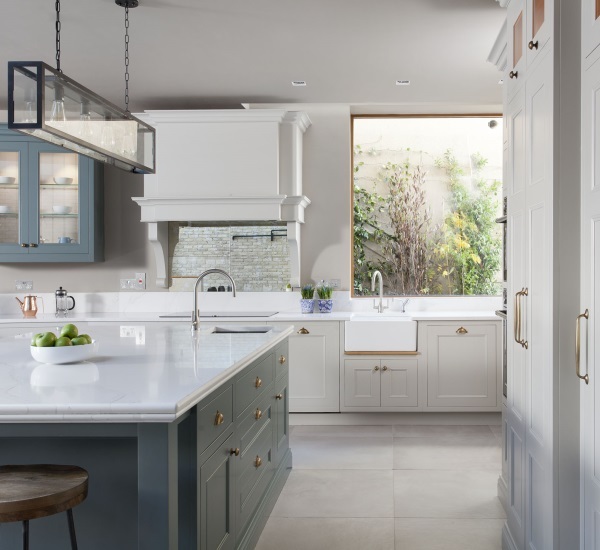 This kitchen was designed and created for a refurbished family home with stunning lake views. 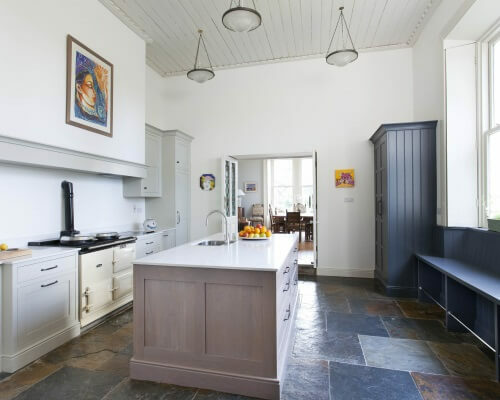 Painted in Farrow and Ball Cornforth White with Downpipe on the island, with solid ash internals.